The specified file public://inline-images/https_%2F%2Fs3-us-west-2.amazonaws_10.jpg could not be moved/copied because no file by that name exists. Please check that you supplied the correct filename. The specified file public://inline-images/https_%2F%2Fs3-us-west-2.amazonaws (1)_8.jpg could not be moved/copied because no file by that name exists. Please check that you supplied the correct filename. The specified file public://inline-images/https_%2F%2Fs3-us-west-2.amazonaws (4)_5.jpg could not be moved/copied because no file by that name exists. Please check that you supplied the correct filename. In conversations with friends, one thought the current political scene was like the prelude to WWII. Another said WWI. Tuesday evening I struck up a conversation with "Max", a friend that I frequently see at a Tuesday karaoke bar. Max is not a reader of my website, so it stuck me when he stated events today remind him of the prelude to WWII. Max is aware of Trump's trade policies and disputes with Canada and Mexico, but he was not aware of immigration problems in Italy. Wednesday afternoon, I mentioned that conversation in a podcast with Peak Prosperity's Chris Martenson. Chris said Max's comment was quite appropriate but the setup was more like WWI. Chris is correct. The parallels to WWI are quite amazing. After the podcast with Chris, a bit of digging led me to 7 Causes of the First World War. It was point number 7 that caught my attention. Canadian historian Margaret Macmillan has published a major book, The War That Ended Peace (2013), which presents a synthesis of many different factors: alliances and power politics; reckless diplomacy; ethnic nationalism; and, most of all, the personal character and relationships of the almost uncountable number of historical figures who had a hand in the coming of war. The above snip led me to the PDF synopsis on The War That Ended Peace. So you would have thought that increased trade between Britain and Germany would have fostered that sense of having something in common. In fact, it didn’t. What common trade did sometimes was to create fears in both countries that the other was jealous, or that the other was cutting into natural markets. Nationalism increasingly became a way in which people identified themselves. It was helped by the spread of communications – it was much easier to feel you were part of something called the British nation or the French nation if in your morning newspaper you could read news from all over that nation. The growth of public opinion was of course fuelled by the spread of communications and literacy, and by the growth of the mass media that made available cheap books and newspapers. When Italy invaded Libya in 1911, Italians socialists rejected criticism of their government’s “civilising mission”. We should be warned that with all the best will in the world, clever people, people in positions of power, can make really stupid mistakes. We shouldn’t think we are cleverer than people then, and we shouldn’t think that we can avoid catastrophes. One hundred years later, we should be reminded that people in 1914 thought they’d have a nice short war and could settle things – and didn’t. 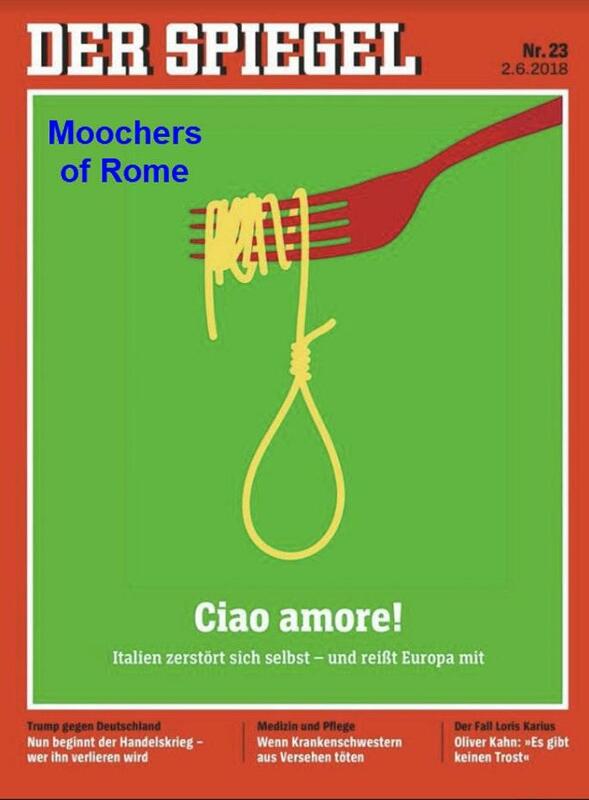 ​Germany Points Finger at "Moochers of Rome"
Trump Considers 25% Tariffs on All Auto Imports as Matter of "National Security"
​President Donald Trump and Canadian Prime Minister Justin Trudeau had a testy phone call on May 25 over new tariffs imposed by the Trump administration targeting steel and aluminum imports coming from Canada, including one moment during the conversation in which Trump made an erroneous historical reference, sources familiar with the discussion told CNN. 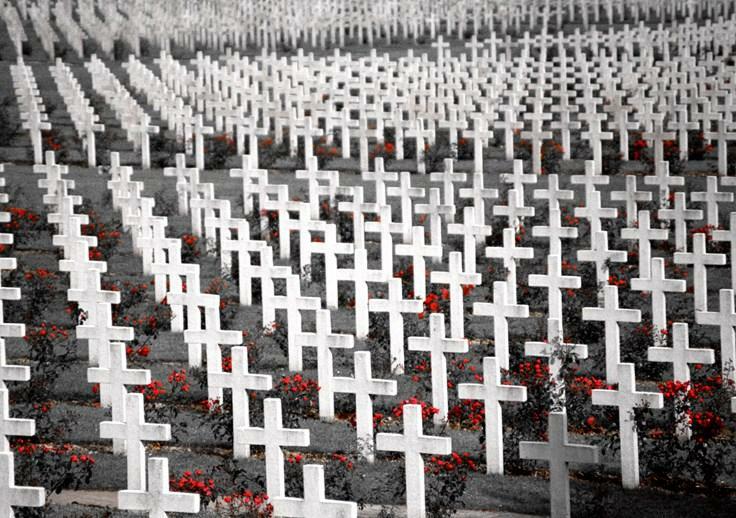 In the prelude to WWI every European nation thought war could be prevented if every nation was prepared for it. They were all prepared. On March 8, in a direct reference to Germany, US President Donald Trump says NATO members that do not meet defense-spending targets will be "dealt with." European Commission president Jean-Claude Juncker expressed his desire for a European Army in a State of the Union address. I have watched with dismay the circular nature of Mideast allies. The US has friendly relations with Israel, Saudi Arabia, Turkey, and the Iraqi Kurds, most of which are fighting with each other or are in tense relationships at best. To top it off, Russia has a friendly relationship with Turkey but the EU relationship with Turkey is fading fast. Note that Turkey is a NATO ally and US missiles are based in Turkey. Meanwhile the EU and Turkey are in a huge feud over immigration and judicial rights. It's ironic that Margaret Macmillan noted the role of increased communication as a factor in WWI. Look at all the allegations regarding Russia, Facebook, False News, Google, CNN etc., currently circulating. 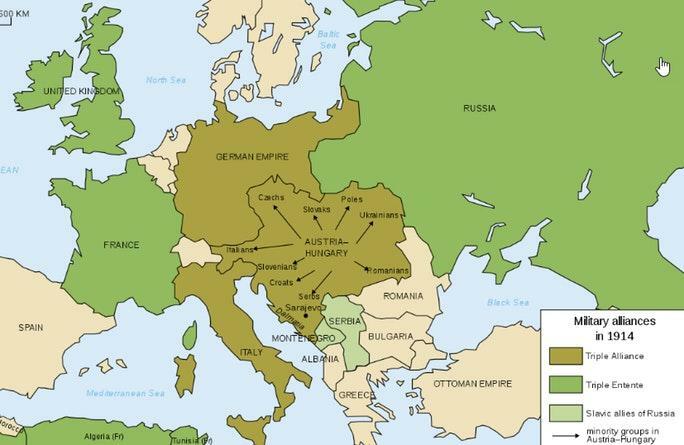 Flashback July 23, 1914: Austria-Hungary Issues Ultimatum to Serbia. At six o’clock in the evening on July 23, 1914, nearly one month after the assassination of Austrian Archduke Franz Ferdinand and his wife by a young Serbian nationalist in Sarajevo, Bosnia, Baron Giesl von Gieslingen, ambassador of the Austro-Hungarian Empire to Serbia, delivers an ultimatum to the Serbian foreign ministry. According to the terms of the ultimatum delivered on July 23, the Serbian government would have to accept an Austro-Hungarian inquiry into the assassination, notwithstanding its claim that it was already conducting its own internal investigation. Serbia was also to suppress all anti-Austrian propaganda and to take steps to root out and eliminate terrorist organizations within its borders—one such organization, the Black Hand, was believed to have aided and abetted the archduke’s killer, Gavrilo Princip, and his cohorts, providing weapons and safe passage from Belgrade to Sarajevo. Three days later, on July 28, 1914, Austria-Hungary declared war on Serbia, beginning the First World War. The allies were set. Russia intervened on behalf of Serbia, Germany on behalf of Austria-Hungary, France was an ally of Russia, etc. The US, which had no business in the fight at all, actually prolonged the war by entering it. It is unclear if the US and UK even entered on the right side. Actually, there was no right side, it was none of our business. By medling, we created the ideal backdrop for WWII. David Stockman laments If only the U.S. had stayed out of WWI. Had President Woodrow Wilson not misled the U.S. on a messianic crusade, Europe’s Great War would have ended in mutual exhaustion in 1917. Both sides would have gone home battered and bankrupt — but would not have presented any danger to the rest of mankind. Indeed, absent Wilson’s crusade, there would have been no allied victory, no punitive peace — and no war reparations. Nor would there have been a Leninist coup in Petrograd — or later on, the emergence of Stalin’s barbaric regime. Likewise, there would have been no Hitler, no Nazi dystopia, no Munich, no Sudetenland and Danzig corridor crises, no need for a British war to save Poland, no final solution and Holocaust, no global war against Germany and Japan — and, finally, no incineration of 200,000 civilians at Hiroshima and Nagasaki. We do not know what would have happened. But nothing good ever happens from ridiculous wars. How many times do we have to prove this? One might have thought that WWI, Korea, Vietnam, Iraq, Libya, Afghanistan, and Syria would be proof enough. Trump is itching for a war with Iran and a trade war with the whole world. 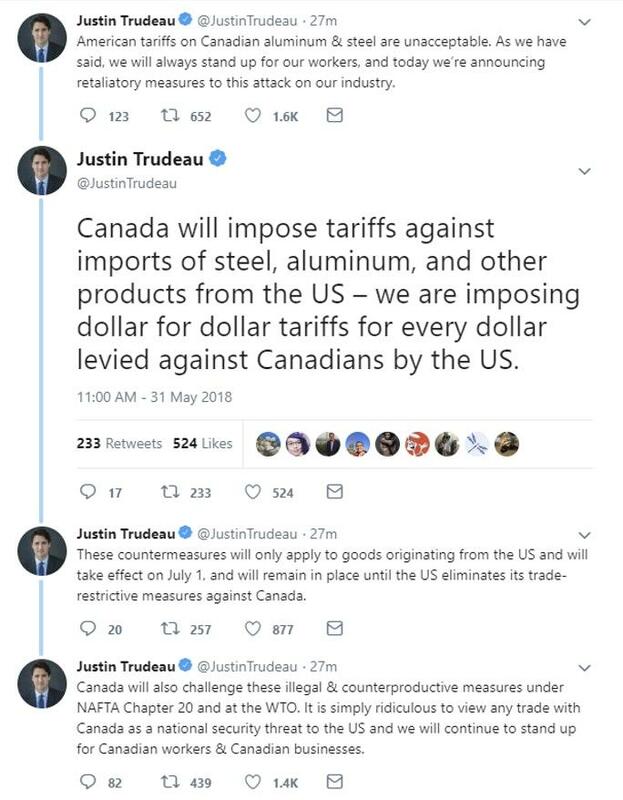 Trade wars and nationalism are a prelude to real wars. Historically speaking, this is 1913 déjà vu. That is only an observation, not a prediction. But as with 1914, we better take a different path than the one we are on.